The Pi Theta Lambda Educational Foundation, Inc. is proud to unveil its first Fiesta Medals. Choose between the “ALAMO ALPHAS” pharaonic mask design or the “DREAM MAJOR” graduation mortarboard design. These black & gold medals are accented with a black ribbon. 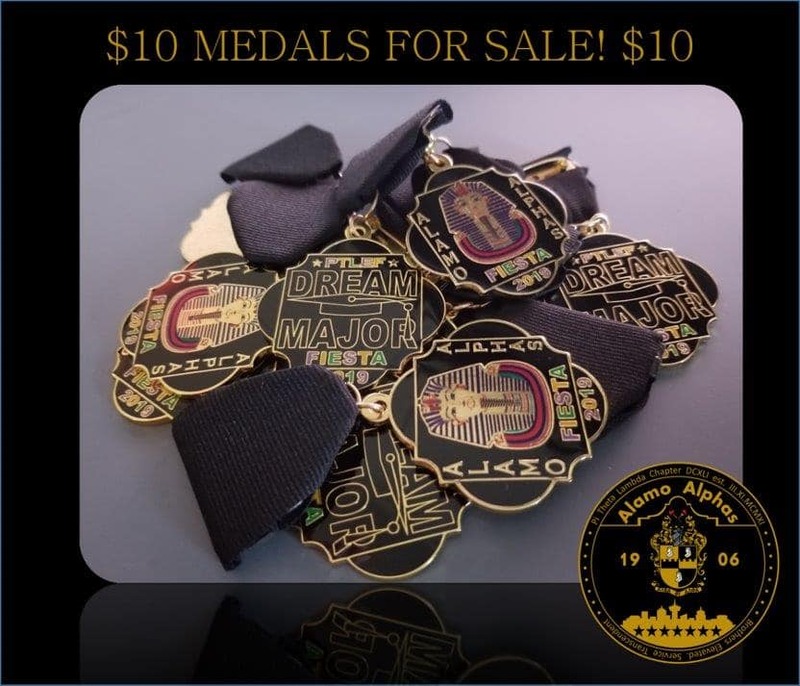 Medals are $10.00* each. Proceeds support the Pi Theta Lambda Educational Foundation, Inc. Scholarship Fund and the programs of the Pi Theta Lambda Chapter of Alpha Phi Alpha Fraternity, Inc.
*Does not include PayPal processing fee.